I have something in common with Audrey Hepburn. I used to play the movie Breakfast At Tiffany's on a constant loop like it was an album. I listened to its words and music for months. That probably means I have much in common with the screenplay's writer, George Axelrod, and the composer, Henry Mancini. Olive Husk Oil, Cetylpyridinium Chloride, Amodimethicone, Diazolidinyl Urea, Hydrolyzed Elastin, Methylparaben, Cetrimonim Chloride, Trideceth-12, Propylparaben, Sodium Benzoate, Butylparaben, Ethylparaben, Isobutylparaben. 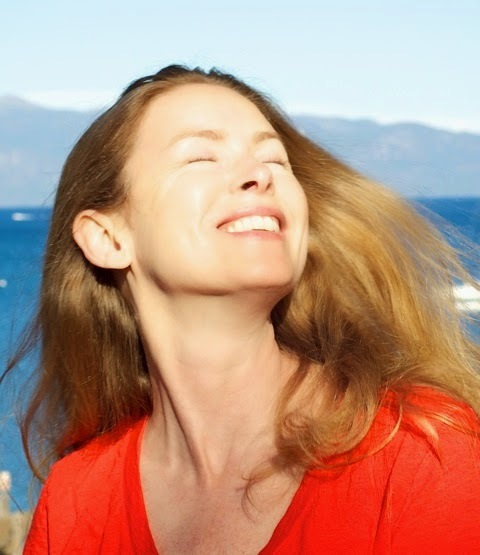 *Note: Philip Kinsley has removed parabens from their most current products. Suffice it to say, what I have in common with Audrey is a hair product. Turns out her hair was in bad condition during filming of a movie in 1974 and Philip Kingsley created a product to help her out. She used it for the rest of her life. "Application shortcut: I'm generally in a rush so I put it on when first getting into the shower and apply to the top damaged layers, then clip it up out of the way while washing up. It does contain parabens* so avoiding the scalp and underlayers is part of my technique. For a more intense treatment follow directions on package." The PK gel does have the odor of its chemical ingredients but goes away once dry. Also in the photo, the blue and white tube is a hair gel by Free & Clear, which is a less expensive option. 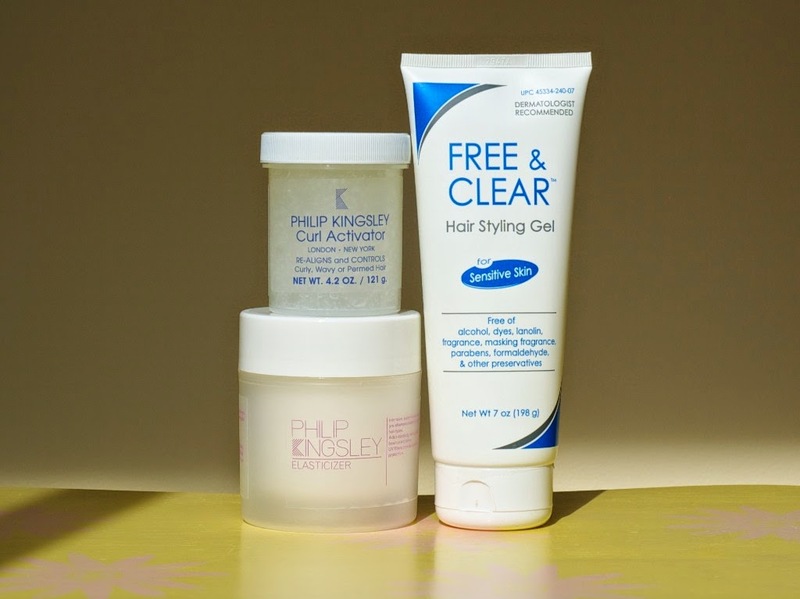 I have noticed the Free & Clear gel leaves a somewhat stiffer feel than the PK. 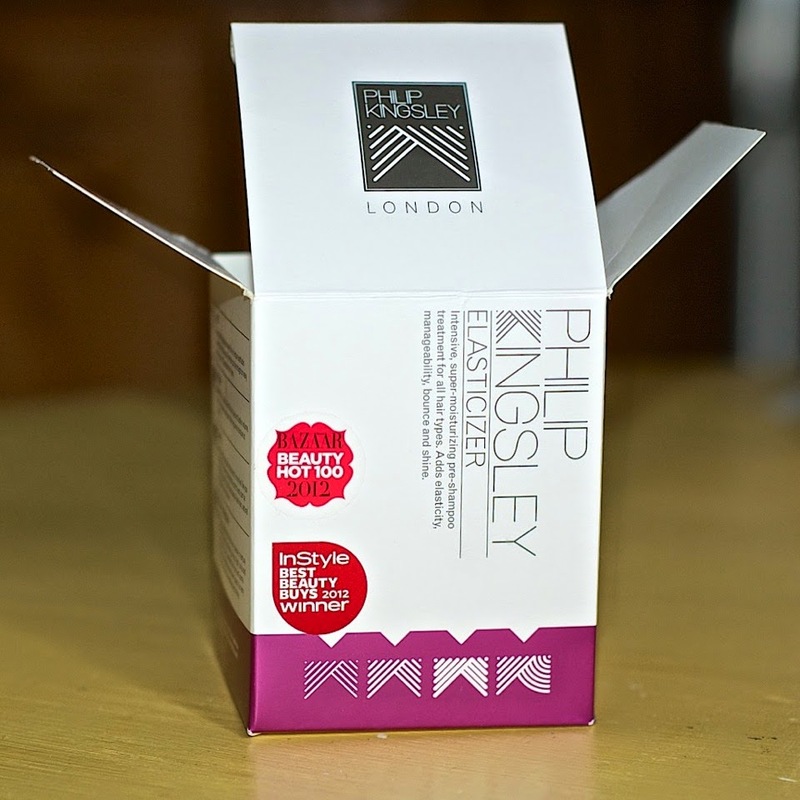 Philip Kingsley Original Elasticizer and Curl Activator. Free & Clear's hair gel.